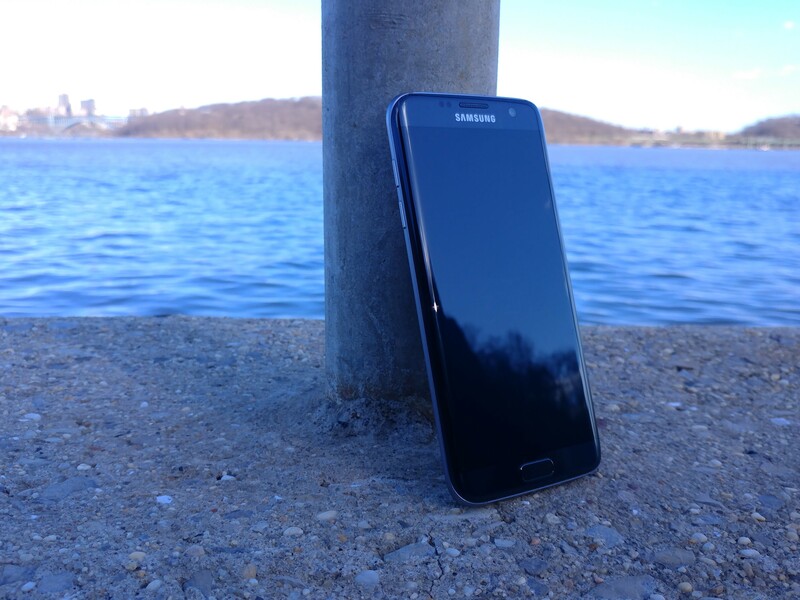 When the US unlocked models of the Galaxy S7 and Galaxy S7 edge were released, many were overjoyed to have a variant that wouldn't be tied to a carrier, yet would be fully compatible with all four major carriers here in the states. Despite these unlocked versions' higher price tags, many picked them up in hopes of less bloat and quicker updates. Unfortunately, while the unlocked models did come with fewer pre-installed apps, buyers were extremely let down in terms of updates. Not only did they not arrive more quickly, but they were actually being sent out more infrequently and much later than carrier models'. To this day, the US-unlocked Galaxy S7 (SM-G930U) and S7 edge (SM-G935U) still don't have Nougat - a huge embarrassment considering the fact that AT&T, Sprint, T-Mobile, and even Verizon models all have it. However, Samsung is aiming to change that, soon. ZDNet emailed the security team regarding the same issue, and received a similar response. The email states that security updates have been on a quarterly release schedule (makes sense, considering the unlocked S7 is currently stuck on the December 2016 security patch). 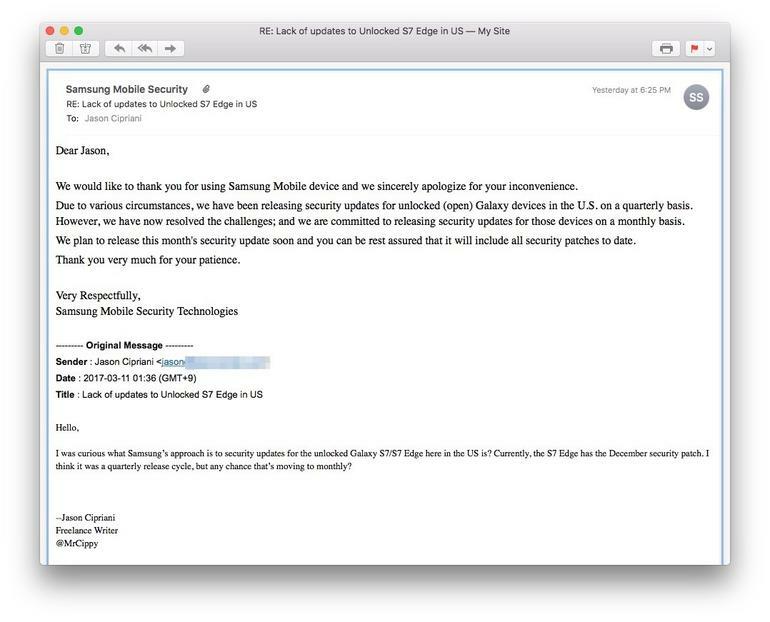 Samsung's response to ZDNet also states that they "plan to release this month's security update soon and you can be rest assured [sic] that it will include all security patches to date." Hopefully, the March security patch does indeed arrive soon, and though Samsung hasn't explicitly stated in its responses that Nougat will arrive alongside it, it's safe to assume that it will. We'll let you guys know when this long-awaited update finally hits the US-unlocked S7 and S7 edge later this month.